Known as one of metals most legendary guitarists, Michael Schenker began his career playing guitar for the Scorpions & UFO in the 70s. In the 80s he began a solo career partnering with vocalist Gary Barden, Graham Bonnet and Robin McAuley in various incarnations of his projects Michael Schenker Group, McAuley Schenker Group, Michael Schenker’s Temple of Rock and more. 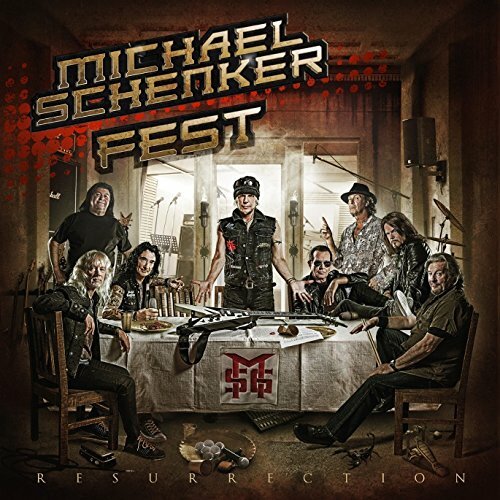 Produced by Michael Voss, “Resurrection” is a new album from Michael Schenker with collaborations from all of his previous vocalists. Beginning in March, right after the release of “Resurrection”, Michael Schenker Fest will be in North America where he’ll play in major markets all over the US & Canada. Accompanying him will be vocalists Gary Barden, Graham Bonnet and Robin McAuley. Advertising in Revolver, New Noise and other hard music & lifestyle publications. Banner ads on Blabbermouth, Metal Injection and other hard music sites.